If this occurs, then the problem is the role is not setup correctly. 1. 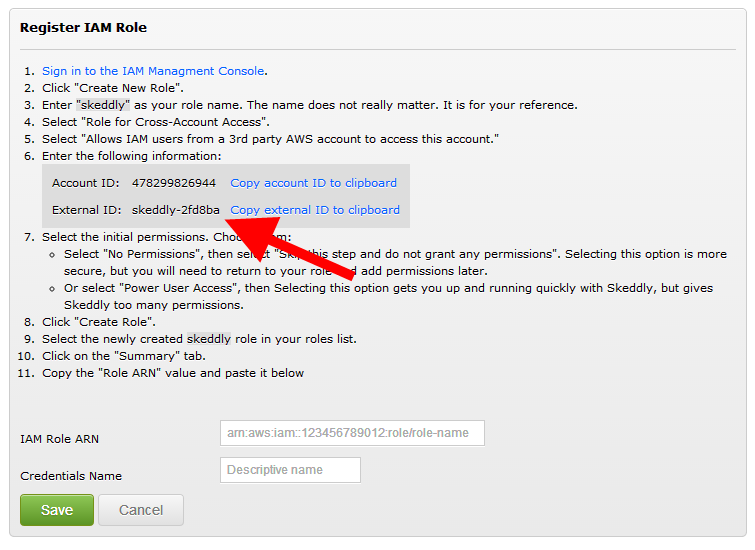 Sign-in to the AWS Management Console and go to the list of IAM Roles. 2. Select the role created for Skeddly. Under "Trusted Entities", the account number must be as above. 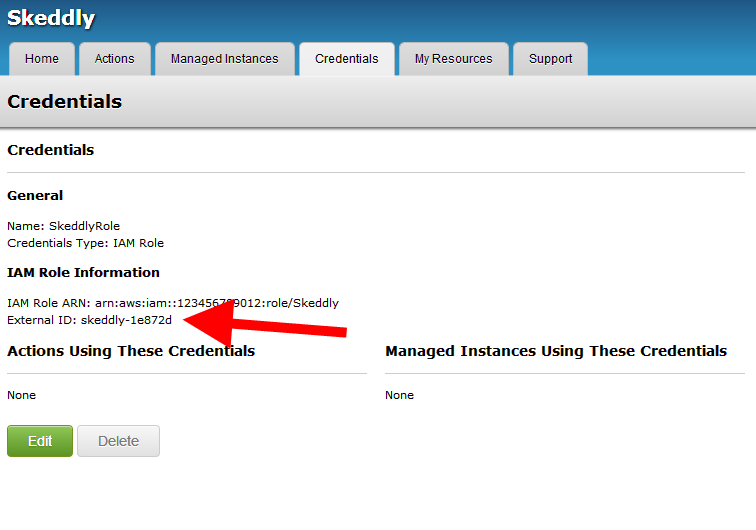 If all else fails, you can simply register a new role with Skeddly.